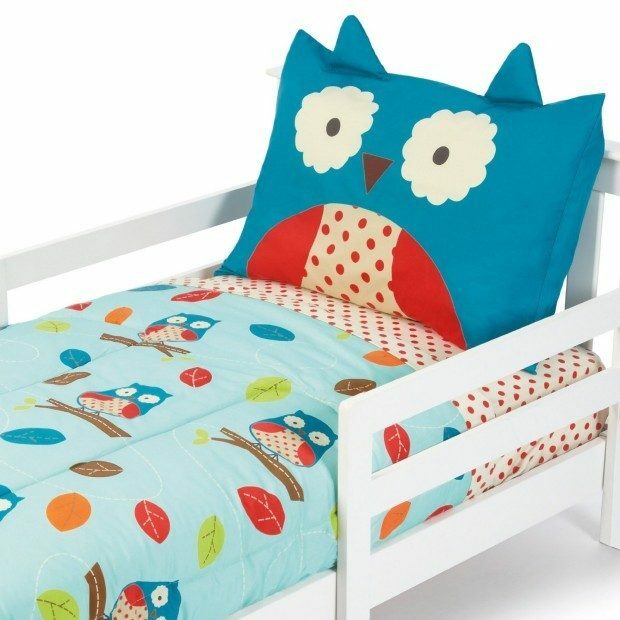 Skip Hop Owl 4 Pc Toddler Bedding Set Only $39.99 + FREE Shipping! You are here: Home / Great Deals / Amazon Deals / Skip Hop Owl 4 Pc Toddler Bedding Set Only $39.99 + FREE Shipping! Head over to Amazon to change up your toddler’s bedroom with this Skip Hop Owl 4 Pc Toddler Bedding Set Only $39.99 + FREE Shipping! Zoo Toddler bedding for big kid dreaming. A major milestone for a toddler is when he or she is ready to move out of the crib and into a ‘big kid bed’. Sized just right for a toddler bed, thoughtful finishing details create an owl bedroom. Includes reversible comforter, flat sheet, fitted sheet and pillow sham!